This level is hard as you need make few specific special combos. 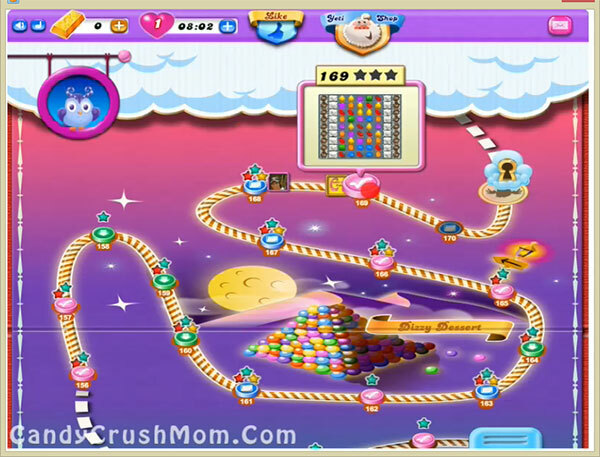 For this level you should try to make first colorbomb with striped candy combo as you could make other later easily. You should also need to focus on balancing the Odus owl while play with special combo. You should try to play till few moves and you could use hand tool booster if you have few moves remaining with single order. We completed this level with 64240 score by focusing on making special combo and use hand tool to swap striped candy to make colorbomb plus striped candy combo and got two star score at the end.